Pro Football Hall of Fame Member and Super Bowler Tony Dungy will complete The Florida Forum Speaker Series, produced by The Women’s Board of Wolfson Children’s Hospital. Dungy will speak at the Times-Union Center for the Performing Arts on March 27, at 7 p.m.
Elected to the Pro Football Hall of Fame in 2016, Dungy’s 31-year career in the NFL earned him an overall record of 148-71 as the head coach of the Indianapolis Colts and Tampa Bay Buccaneers. In 2007, during Super Bowl XLI, Dungy became the first African American coach to lead his team to the championship where his Colts defeated the Chicago Bears and in 2008 set an NFL record for consecutive playoff appearances by a head coach, securing his tenth straight playoff appearance after a win against the Jacksonville Jaguars. A former player for the Pittsburgh Steelers, he won his first Super Bowl ring in 1978. Known as a leader who emphasizes decency and respect, Dungy’s memoir, Quiet Strength: the Principles, Practices and Priorities of a Winning Life, was a #1 New York Times Bestseller. 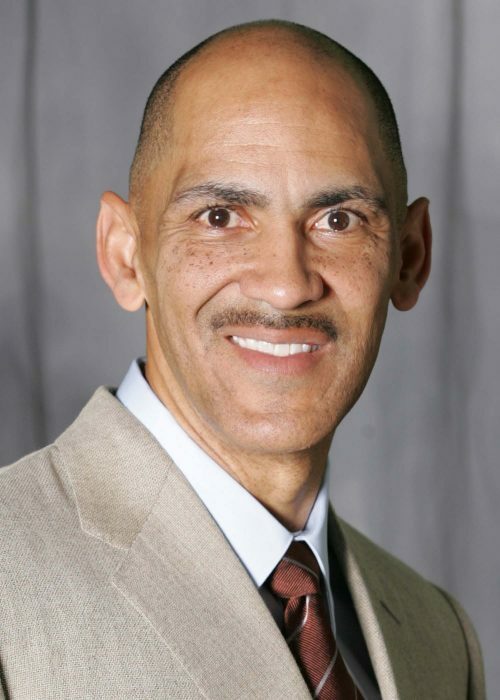 Dungy currently serves as an analyst on NBC’s Football Night in America and is the national spokesperson for the fatherhood program All Pro Dad. Tickets are on sale now for Dungy’s Florida Forum presentation on March 27. Tickets begin at $83 each for general seating; $100 each for preferred seating; $283 for two reserved Bronze seating tickets; $708 for two reserved Silver seating tickets and invitations to the Private Receptions honoring the speakers and $1,417 for four reserved Gold seating tickets with Private Reception invitations. Patrons under age 30 may purchase Young Subscribers tickets for $50 each. Proceeds from The Florida Forum benefit Wolfson Children’s Hospital of Jacksonville and the creation of a new Neonatal Intensive Care Unit (NICU), to care for the smallest patients. The series is presented by Wells Fargo, Florida Blue and Landstar, and many valued supporters of The Women’s Board. For more information and to purchase tickets, go to The Women’s Board website at https://womensboardwolfsonchildrenshospital.com.